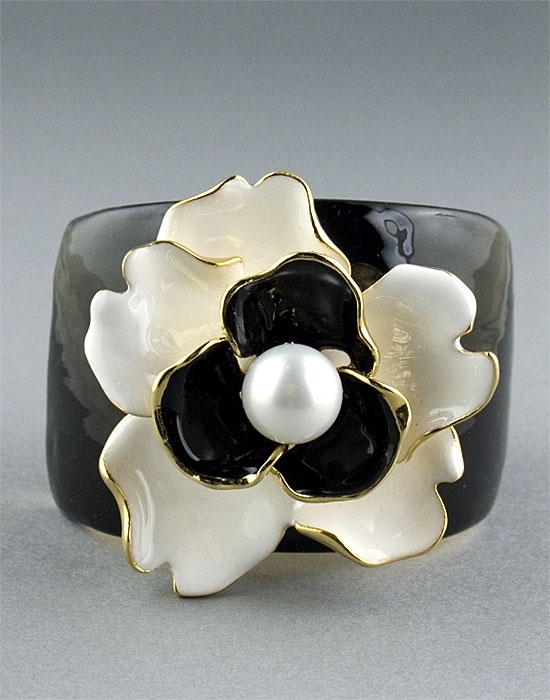 features a 55x60 mm black and white enamel flower with a 16mm white pearl in the center. Bracelet measures 46mm in height and comes with a hinged back. A Must-have bracelet, easy to wear from day to night. Also makes a wonderful gift idea.